8-bit Memoirs Issue #1 released!!! Well, officially the release date isn't till tomorrow, but I might as well make the post now. 8-bit Memoirs Issue #1 released! 8-bit Memoirs is intended to become a series of eBooks about how different authors experienced the computers and consoles back in the 8-bit era, written from the perspective of the kids we were at the time. 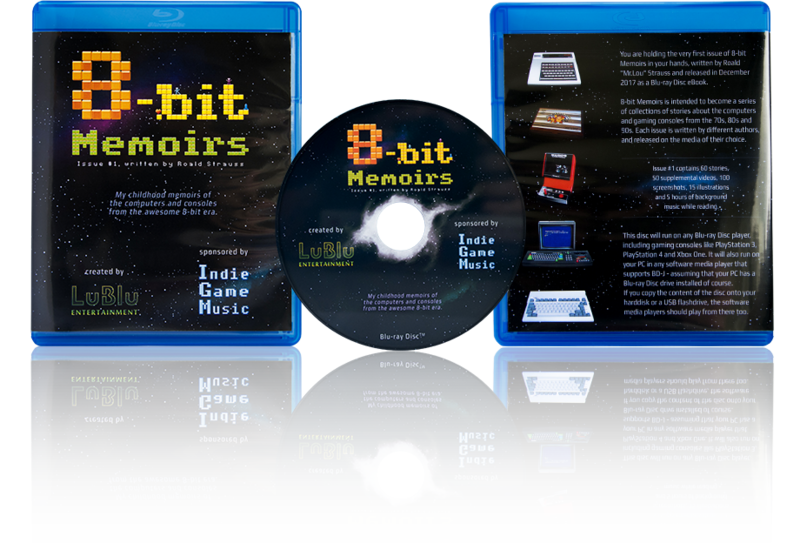 I'm proud to be able to present you with the first issue of 8-bit Memoirs, written by myself. The computers and consoles I experienced back in the 8-bit era includes the Philips Videopac G7000, the Amstrad CPC and the Amiga. So the stories in issue #1 describes how I experienced (some of) the games on those systems, and how I experienced creating my own BASIC stuff on the Amstrad CPC. I have wrapped all the stories in a somewhat retrostyled diskmag-like GUI, because I've always found diskmags extremely cosy myself, and my biggest wish is that 8-bit Memoirs will give you the same nostalgic relaxation that diskmags has given me in the past. I also wanted to boost the retro-feeling while you're reading, and I think the diskmag-like GUI helps doing that. 8-bit Memoirs is completely free! Other devices should also play the ISO file, either from harddisk or from a USB: Devices such as the Popcorn Hour, or Dune HD Smart D1. In the near future you can also expect various software media centers, such as Kodi, to be able to play it. The recommended way of experiencing 8-bit Memoirs Issue #1 is on a real Blu-ray player though. This includes the gaming consoles PlayStation 3 (and later) and Xbox One (and later). But burning the ISO to a disc requires a Blu-ray burner, and not many people have one of those. You could buy one of course - they are exceptionally cheap nowadays - but that still only makes sense if you plan on using it for other things too. If you don't want to buy a Blu-ray burner, but still prefers having a physical disc, then you can simply buy disc from me. It comes complete with printed label and cover for 17 Euro including shipping (regardless of your location). This disc can be bought from www.8bitMemoirs.com. So if you have yourself one of those devices, you should be able to enjoy 8-bit Memoirs on your TV from the sofa. Just remember to switch the setting to "Full BD Menus" instead of "Simple BD Menu". (Some devices may need latest firmware). If you have success with media players not listed above, please let me know. I'm very curious! I have added an option to buy a budget version now for 7 Euro: A disc without print and without a case. Just plain white on a mat surface. VLC is improving. A few weeks ago (or so), I tried the latest nightly build on a Windows machine, and playback had improved. Might be worth a try now. In other news, I learned about iboum.com; a site that contains a lot of info on various hardware media players, and lets you do a search specifically for players that supports full Blu-ray Java menus - and which therefor should be able to play 8-bit Memoirs from harddisk and/or USB. Click here to see a list of (supposedly) supported hardware media players. If you own one of those players and decide to give it a go, please do share your results.